JING Institute of Chinese Martial Arts & Culture: your resource for San Diego Kung Fu, Wushu, Tai Chi, Wing Chun, and Bujinkan! Seminars and Lessons with Coach Wei Wei! Please stop by JING, or call 858-578-8267 to schedule your lessons with Coach Wei Wei! Coach Wei Wei interned with some of the greatest GrandMasters of Taiji, including Kan GuiXiang, creator of the Chen 56.
for the 15 hours of awesome training. Please call 858-578-8267 or email to register. $60 Pre-Registration by May 1! JING will be closed. Have a wonderful holiday! Performance: San Diego County Fair! for Children: For your convenience and your children's education, we have a weekday After-School Program and Summer Camps. 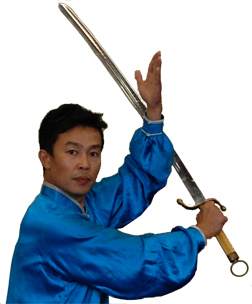 Chinese Martial Arts -- Wushu, Taiji, Wing Chun, Bagua, and XingYi. Please visit What We Teach to learn more about the Arts, and see our Schedule to find your preferred class. 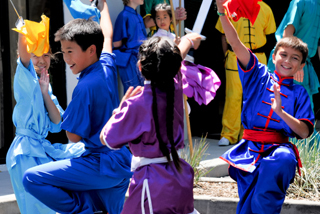 Chinese Culture -- as part of our Chinese Language and Martial Arts classes; as an integral part of our After-School Program and Camps; and occasionally as stand-alone family events! 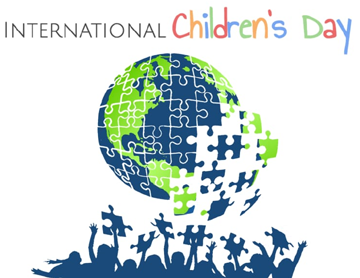 The JING Institute serves families who need an after-school program for their children, or are looking for a great Saturday morning activity; and want their children to learn useful skills for an increasingly multicultural, interconnected, and technological world. Towards this end, JING offers three pillars of education: cultural-linguistic, physical, and technological-academic. Cultural-linguistic: JING teaches Mandarin Chinese because it is the most common language on earth, because China is a rising global power, and because Chinese is a root language for many other Asian languages. 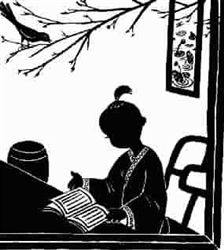 JING uses Chinese songs, games, art, culture, and history to help the language come alive, and help our young students learn about other cultures. Physical: JING teaches its students Chinese Martial Arts (Wushu) (also known as Kung Fu) on the principle that healthy bodies promote healthy minds, and there is no other exercise as healthy and complete as Wushu. Technological-academic: JING offers dedicated academic time and help for students to finish their schoolwork (during our After-School Program), as well as our own STEAM (Science, Technology, Engineering, Art, and Mathematics) program. Call Jing Jing at 858-578-8267 or email info@JINGinstitute.com and schedule your first trial class at JING. Check our Locations and Directions and drive over! Let the JING Institute share these ancient Chinese treasures with you and make your life more interesting, educated, and enjoyable! talk to an instructor and schedule your first class! 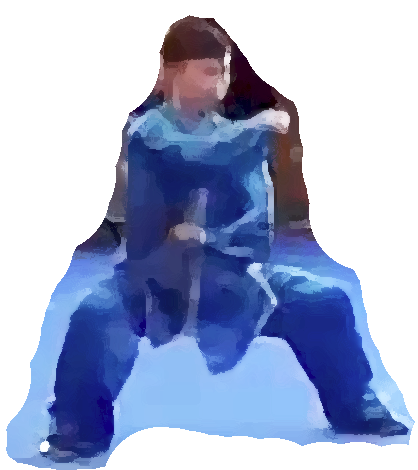 The JING Institute teaches Wushu, Bagua, San Shou, Wing Chun, and Taiji in San Diego. You may also know these arts as Kung Fu, Shaolin, Chinese Karate, Pa Kua, Sansoo, Chinese Sparring, Ving Tsun, Tai Chi, and T'ai Chi. We also house Bujinkan Taka-Seigi Dojo, the Samurai & Ninja Arts school in San Diego! Click on What We Teach for more information, or read below and then click! The JING Institute offers various forms of meditation and Qigong at our school in Scripps Ranch. Zazen, which is Zen Buddhist Sitting Meditation, is taught every Sunday morning at 8am. Taiji and Bagua and Wing Chun each teach their own style of Qigong, here practiced as Moving Meditation. The JING Institute started as a family school and continues to be a family school today. Our instructors are carefully selected by our Headmaster, Siu-Fong Evans; her daughter and Chief Tai Chi Instructor Lui Guojing Evans (Jing Jing); and Jing Jing's husband and Chief Kung Fu / Wushu Instructor Christopher Mendoza. During one-on-one private lessons, you will received personalized instruction to help you achieve your goals at your pace. Group lessons give you the great opportunity to meet and do martial arts with a bright and motivating group of similarly-driven people; practice and drill good basics in a fun and enthusiastic atmosphere; and learn about the different styles of martial arts at the JING Institute! You can and should take a Free Trial Class. JING was the first Chinese Martial Arts school in San Diego certified by the Chinese Wushu Association and the USA Kungfu Wushu Federation. Our extensive Schedule fits practically all lifestyles. We are in a large, clean, comfortable facility that will be easy on your eyes, with nice, thick floor mats that will be easy on your joints. JING classes follow a driving curriculum to ensure that you keep learning. JING is the only Chinese Martial Arts school in San Diego to follow an authentic Kung Fu / Wushu learning system. If you have questions about "Black Belt in Kung Fu / Wushu," please click here. Bujinkan Taka-Seigi Dojo | San Diego, CA is part of Bujinkan (House of Divine Warriors), training under Masaaki Hatsumi, 34th Soke (grandmaster) of Togakure Ryu Ninpo. Bujinkan is unique. It is not a sport or just a fighting art but is a true martial art. It incorporates ancient Japanese warrior traditions, and is a full system of self-protection and self-defense, involving nine schools of combat. Bujinkan Taka-Seigi Dojo | San Diego at JING is where you can study a true warrior tradition and learn martial skills that will help you defend yourself and your family. JING Institute of Chinese Martial Arts teaches all the major internal styles of Tai Chi in San Diego (Yang, Chen, Wu, & Sun style Tai Chi, compulsory Tai Chi forms, xingyi, bagua, and qigong) and all the external styles of Kung Fu / Wushu in San Diego (traditional, contemporary, compulsory, Wing Chun, sparring, self defense, weapons, animal forms). If you want the ultimate in kicking, fighting, punching, and moving, come to JING! JING also trains students for the Asian Games, the Traditional Wushu Tournament, and the World Wushu Championships. JING Institute is the only school in San Diego whose Kung Fu / Wushu, Tai Chi, Xingyi, and Bagua are certified by the USA Kungfu Wushu Federation and the Chinese Wushu Association! soft, sensitive, and scientific; gentle, efficient, and deadly. Martial Arts are a lot of fun. Martial arts have a long history and a beautiful culture. Join something great! Black Belt in Kung Fu / Wushu? What about other Martial Arts? There are a many of martial arts schools around San Diego, but very few can match the experience that the JING Institute of Chinese Martial Arts & Culture provides. We are the only Kung Fu, Tai Chi, Wing Chun, Bagua, and SanShou Center in San Diego based in lovely Scripps Ranch. 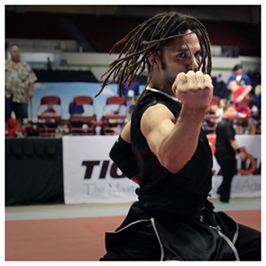 Our San Diego school is equipped with everything you need to become a competent martial artist. 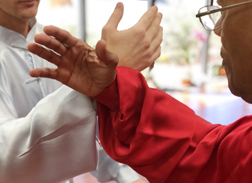 The arts – We train our students in the best, most authentic, and purest martial arts from China: Wushu Kung Fu, Tai Chi (Taiji), Wing Chun, Bagua, and SanShou. 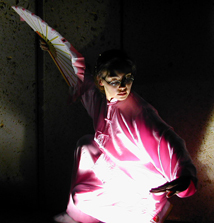 These arts are each ideal in their own sphere: Wushu Kung Fu is elegant and athletic, a favorite of young artists and Hollywood producers; Tai Chi is relaxing and rejuvenating, perfect for increasing coordination, body awareness, and mental acuity; Wing Chun is both contemplative and aggressive, the epitome of close-range fighting; Bagua is an internal martial art that is circular and complex, pushing the limits of balance and coordination; Sanshou is Sparring, Chinese style, including QinNa, grappling, and ShuaiJiao, wrestling. The JING Institute of Chinese Martial Arts & Culture embraces a unique training methodology: we strike a fine balance between practicing repetitive fundamentals, always important, and learning fun new fist and weapon forms, always important for keeping student's enthusiasm on high! 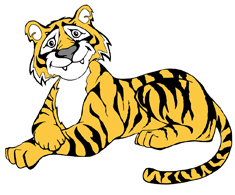 Also, our Kung Fu / Tai Chi / martial arts San Diego school breaks new ground with our fun and innovative teaching method that gets beginner martial artists ready to tackle advanced concepts and movements with our carefully designed beginner, intermediate, and advanced training. We teach Adult Kung Fu, Adult Wing Chun, Adult Tai Chi, Adult Ba Gua, and Kids Kung Fu / Kids Wushu in Scripps Ranch in San Diego. JING also houses the best Bujinkan -- Samurai and Ninja Arts -- school in San Diego, and the only Zen Sangha (Zen Buddhist Sitting Meditation group)(Zazen) in Scripps Ranch. Please look at our What We Offer page and our Schedule and Events to learn more, and Welcome! If you are interested in giving your children an advantage in school and life, you should also know that the JING Institute runs a Chinese After-School Program for kids in San Diego! 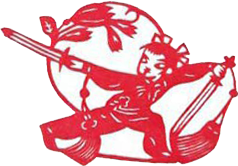 JING Kids After-School is the very best Chinese After-School Program in Scripps Ranch, and we welcome you! !